We originally wrote this article in January 2017 and what hasn’t changed is the best way to drink beer is fresh. However there have been some changes in the way breweries are handling beers, the styles that are popular now and the way consumers are buying beers, so we’ve updated it with our thoughts on the topic now. Before we got into craft beer, we would generally just go to the bottle shop, pick up a beer and take it home and drink it. We quickly discovered this was a mistake and a lot of what we were drinking wasn’t fresh and therefore wasn’t much good. But we didn’t know any better! These days we are much more careful, and we want our most educated craft beer loving customers to be the same. First off let’s start with the 4 main factors that affect the freshness and flavour of the beer you drink. As a general rule, full flavoured craft beers should be consumed as fresh as possible. This is particularly the case when it comes to hoppy beers such as IPA’s. There are exceptions of course for beers that are brewed to get better with age like some Belgian beers and darker beers, but for the most part, the beer you are buying to drink will be much better if it’s been brewed recently. We do regular tastings in house of beers at varying ages and varying storage conditions and our most trained staff can notice degradation in quality after a single month. Of course it’s near impossible for breweries to brew beer, line up sales and distribution and have it into bottle shops and into people’s homes within a month of brewing. Generally up to 3 months the beers should taste fine but as you learn more and more you might find a noticeable drop off in quality after a few months. Going by the ‘best before’ date can be a mistake. The best before date can be up to a year from the time of brewing in some cases (breweries choose what it is). It’s unlikely you’ll fall ill if you drink a beer that’s close to or even beyond its best before date. However depending on how the beer has been handled, it’s probably not going to taste very good. Best before dates are put in place because of food standards, they aren’t a good indication of how the product will taste. Thankfully most craft breweries these days are putting packed on dates on their cans. We put the packed on date and the best before date so customers know how fresh the beer is. We would suggest for any hoppy beer (Pale Ale, IPAs, Hazy’s) to always check the dates. If you are buying beers on special this is especially the case. Of course the challenge of brewing a beer and getting it into customers’ hands within a month or two is immense so you have to weigh up freshness with what is realistic to achieve. There’s a few hard and fast rules here. Beer doesn’t react well to hot temperatures, so never leave it in a hot storage space or sitting out in the sun for any length of time. This is universal, regardless of whether the beer comes in a can, bottle or keg. Light in particular can destroy the flavours in beer almost instantly. Don’t ever leave beer in the sun (more on that below). There’s a school of thought that cycling the temperature of beer from cold to warm then back to cold is a no-no. The problem is however that you as a consumer really don’t know how the beer has been handled. While it’s always packaged cold, it might be stored warm, then delivered warm and then chilled again at the bottle shop. So even though it’s cold when you get it, it hasn’t always been cold. If it’s not obvious, you might find it useful to ask how the beer is handled. At Black Hops we only store beer cold onsite, but that may not always be the case for other outlets. Beer stored in an air conditioned consistent temperature space is going to taste better than beer stored in a hot tin shed. As well as hot temperatures, beer also doesn’t react well to bright or intense light. Leaving a 4 pack on a sunny shelf in a hot room in the middle of summer is a recipe for ending up with ‘skunky’ tasting beer. This is a term used to describe ‘lightstruck’ beer which ends up with a musky smell and sulphurous taste, like something given off by a skunk.. not good! This is caused by a chemical reaction when ultraviolet light reacts with bitter hop compounds. And it doesn’t take long to happen either. Light is the enemy of beer, regardless of temperature. Beer stored in a fridge but under halogen lights will still go skunky after a while, regardless of the fact that it’s being stored at the correct temperature. Beer in kegs, cartons and cans are safest. Beer in bottles is most susceptible to skunking, especially beer in clear bottles. Or in the words of Govs: “you never find good beer in clear bottles, it just doesn’t exist!” Brown bottles are best for filtering out uv light, followed by green bottles. But for us, cans always win. Bottom line: never leave your precious beer exposed to direct sunlight, unless you’re sitting in a beer garden, knocking it back there and then! Oxidisation is another factor in turning good beer bad. Oxidisation is a chemical reaction that degrades the quality of beer and is always occurring in packaged beer, regardless of how it is stored. As time goes on or conditions get worse, the oxidisation gets more aggressive. As with most chemical reactions, heat and motion accelerate oxidisation so storing beer warm will make it worse. Having it regularly moved (for example beer that travels from overseas) will also make it worse. But ultimately, either way it will happen, so beer that isn’t drunk within a few months of brewing will start showing signs of oxidisation. So how can you tell if a beer is suffering from oxidisation? It’s most typically described as tasting dull, muted, bland.. or like cardboard! 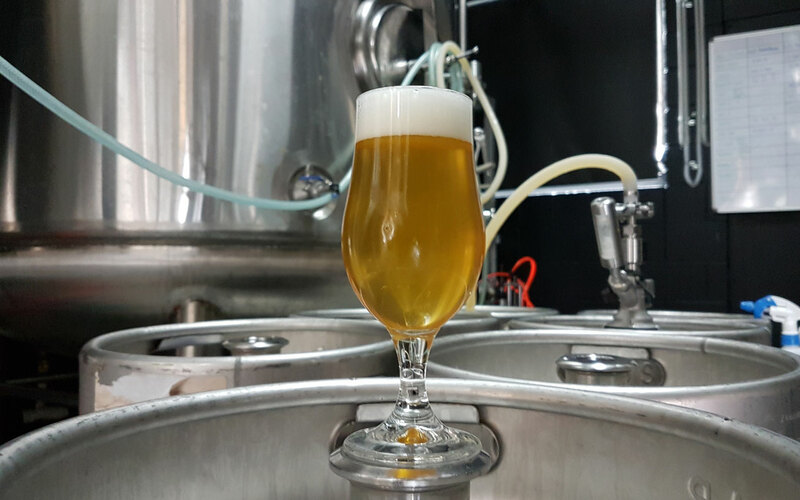 If you have been drinking a lot of beer from mainstream bottle shops without giving a thought to the things that can impact the freshness of beer you might be used to it, and you might just think that is what beer tastes like. One thing we didn’t cover in the first article but have added here is brewing processes. Depending on who makes the beer it will be made differently and that is definitely worth considering when you purchase. Beer made by smaller local breweries will often be made very much via manual processes with very little intervention. This is part of the beauty of local, fresh, craft beer. But it also means the stability and longevity on the shelf isn’t going to be as good. Big breweries have a lot of tools at their disposal for ensuring a higher quality product over time. As we’ve grown we’ve invested more and more in brewing, packaging and lab equipment, filters and quality procedures to help with our consistency and quality. Breweries larger than us have done even more, with some opting to use filters or a centrifuge to remove hop particles and others using flash pasteurisation for helping with consistency in beer on the shelf over time. These things will enable beer to last longer so typically a 4 month old beer from a big producer will taste more like a fresh one than a 4 month old beer from your local brewpub. As always fresh is still best but if you are buying beer that’s a bit older, you might find the bigger brewers can produce a more consistent flavour over time. Now let’s look at what you can do to make sure you are getting the freshest possible beer. Obviously you can get carried away with geeking out too much on this stuff, but we’ve provided this list as an exhaustive list on how you can go about drinking the best, freshest beer possible. Hoppy beers are better when stored cold. It is however very expensive to transport, store and sell beer that has been refrigerated the whole time. Sometimes you might find that the price comes down when beers have been transported and sold in bulk, and that can also be a factor in your purchasing decisions. The season, the location and temperature fluctuations also come into it. The age is an obvious factor for beer quality so always check the dates. Our 4 packs and carton boxes all have packed on dates. A lot of craft breweries are doing this now because consumers are demanding it, so don’t hesitate to bring up this issue with your local brewery if they aren’t printing packed on dates. Things like age and warm storage won’t affect every beer style so get to know what beer works best stored cold and drunk fresh and what doesn’t. As a general rule the more hop-driven styles like Pale Ale’s, IPAs and Hazy’s will be best cold and fresh. Seems extreme but if you take your beer drinking seriously this is an easy option. When beer travels, it’s open to the potential effects of heat and light. So when you pick up your precious cargo, be prepared and bring it home in an esky, especially if it’s a hot sunny day or you won’t be getting it home in a short space of time. We have a lot of people coming down from Brisbane for a day trip to visit our 2 breweries. A 1 hour trip back in the sun could be enough to adversely impact on the taste of the beer. The more you know about breweries the better. Go to brewery tours in your area and learn how they handle beer, when they brew, how they date beer etc. If they do seasonal releases, for example, you can figure out when beer is brewed. Some breweries will store packaged beer warm, some won’t. Knowing how they operate will help you make an informed choice. The local brewery is the best chance of providing fresh beer to you. 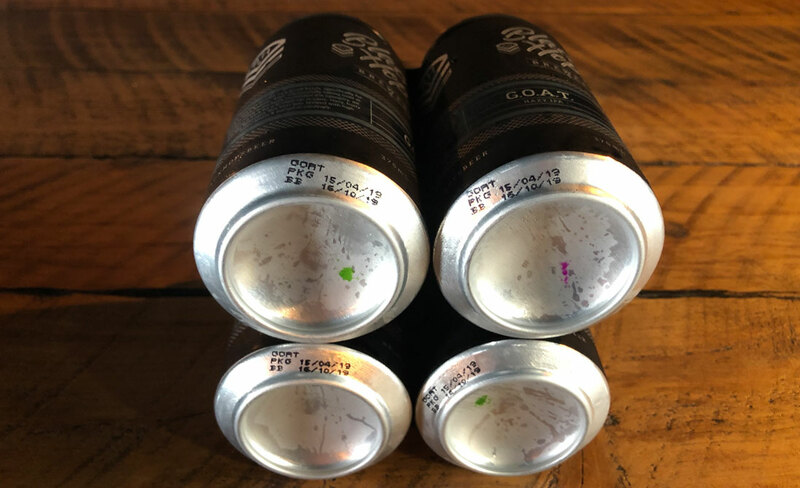 The less distance the beer has to travel, the better, and often local breweries will get by on cellar door trade and can be profitable at smaller sizes. Their point of difference is they can brew a wide range of great tasting beers, and with limited intervention, so it’s good to buy beer from a brewery if you have the option. We advocate squealers and growlers at Black Hops. You can often get beer here that has been kegged days if not hours before and drink it that night. Our kegs turn over very quickly so there’s very little risk of getting old beer. You can’t beat that level of freshness. This is a big one because you assume that everyone who sells beer knows how to handle it well. Craft beer is relatively new in Australia so there is still a lot of education to happen across the board (breweries, bottle shops, and customers included). If bars or bottle shops store the beer hot, or keep it in the sun for weeks (it’s happened), it will ruin the beer. If the venue doesn’t move a lot of beer and a beer stays onsite for months before making it onto the tap, it’s going to be no good. If the venues have dirty lines, perfectly good beer could go through the lines and taste sour or worse when it goes into the glass. This happens quite a bit too, so choose venues that know how to handle beer well. Don’t hesitate to ask questions of the venues either. Venue owners will take notice if enough customers ask the same questions. If they realise their customers are educated on beer, they will realise they have to answer those questions and will start to up their game as well. It’s an industry that is rapidly growing so everyone from breweries, to transport and storage providers, to venues, to end customers all vary in terms of their beer knowledge. The more you educate yourself and the more questions you ask of the venues, the better it is for all of us. We hope this has been useful, if you want to get deeper into the beer world and chat about beer with us regularly, join us in our free Black Hops Ambassador Group on Facebook. If you have any questions, feel free to ask them below.